D&W Paper Tube, Inc. has committed to supporting the Northwest Georgia office of the United Way. “We are pleased to support the efforts of the United Way especially since it provides us an avenue to give back to the local community.” stated Robby Chastain, Sales Manager at D&W. To support the Northwest Georgia United Way contact Jessica Trivino at 706-876-1580. Pictured-Robby Chastain, Sales Mgr. with Jessica Trivino, Director of Donor Engagement and Strategy for Northwest Georgia United Way. 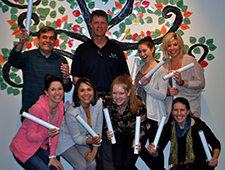 D&W Paper Tube, along with Mailing Tubes Online, has partnered with the Make A Wish Foundation to supply the mailing tubes used for their Wish Announcements. Wish Announcements are sent to inform applicants that their wish has been granted. “Our company has really been blessed and it has always been important for us to give back,” stated Robby Chastain sales manager at D&W. “This is just one small way of doing that to an organization that is doing a great work. We are very excited about helping Make A Wish get the word out to the applicants whose wish is being granted.” If you’re interested in donating to Make A Wish you can contact the Atlanta office at 770-916-9474. "Since we began using D&W Paper Tube Inc. as our supplier of convolute carpet cores, we have been very pleased both with their cores and their great service. Along with the high quality of D&W Paper Tubes' products and their friendly and professional demeanor, we were especially impressed by their affordable prices. D&W Paper Tube's service and innovative logistics have allowed us to significantly reduce our inventory, which has been greatly beneficial for our business. We highly recommend using D&W Paper Tube as your provider of convolute cardboard cores!" "We at Cartersville Flooring Center have been doing business with D&W for the past couple of years and have found their prompt and courteous service to be much appreciated." As we have said before, we base relationships on good business practices. Our relationship with our customers is as important as the quality of our products and the personal, courteous service that comes with them. 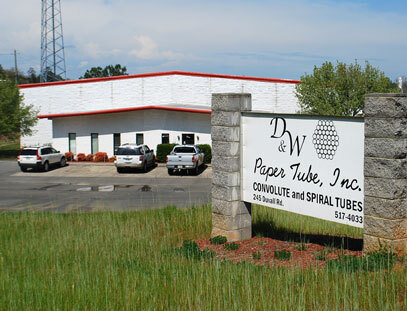 Whether its rolled goods you need cores for, shipping and packaging or paper tubes for displays, toys, or any of the thousands of uses paper tubes and cores serve - D&W Paper Tube, Inc. may be your single source supplier. Its not just another day at the office for us. Each employee is totally committed to offering the best product at the best price possible in the shortest amount of time. Thats our promise to you and your company. So, call or email us - you may just end up with a new friend.